Ahhhh…. that relaxing feeling when someone massages your scalp. We all enjoy it! Check out these quick stress relieving tips that you can use on yourself or with a friend next time you’re in need of a good scalp massage. 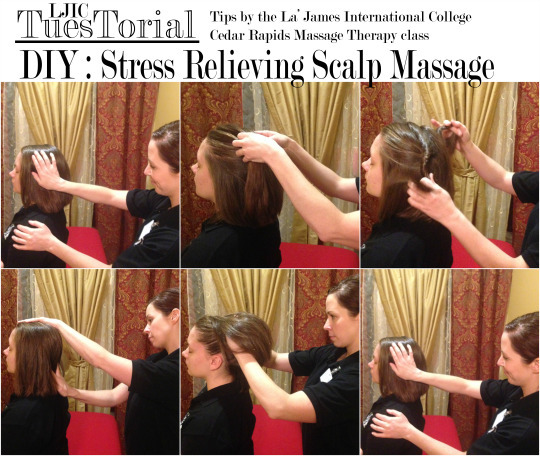 Today’s LJIC TuesTorial was done by the La’ James International College – Cedar Rapids Massage Therapy class! Step 1: Effleurage – Begin with light smooth strokes starting at the top of the head and working down the neck and shoulders. Step 2: Raking – Rake your fingers through the hair, lifting it away from the scalp. Start at the front of the hairline and work your way to the back of the neck. 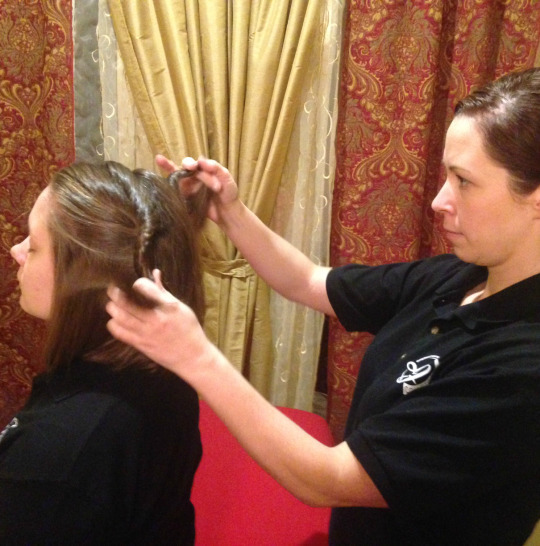 Step 3: Hair Twisting – Grab 2 sections of the hair on both sides of the head and begin twisting the hair from the scalp to ends, give a slight tug as you go. 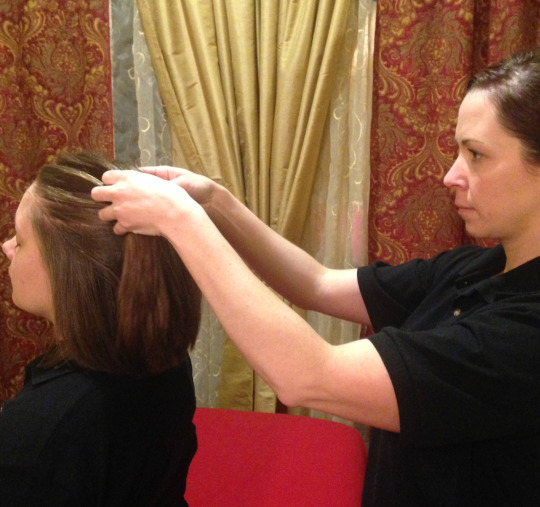 Step 4: Stroking – With one hand on the top of the head stoke over the hair with the other hand, applying light pressure at the back of the scalp & neck. 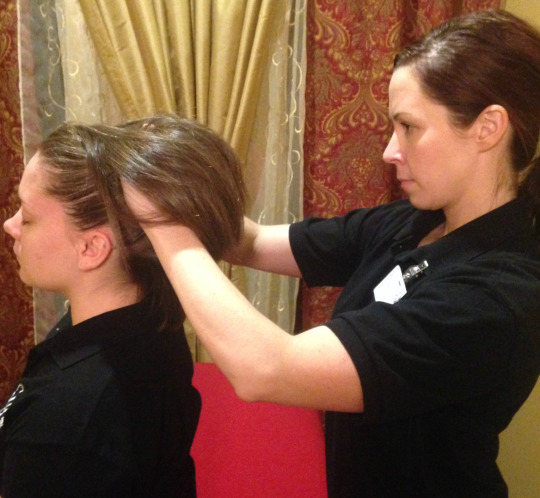 Step 5: Squeeze & Lift – Run your fingers on both sides of the head at the scalp till they interlace each other. Next squeeze & slightly lift the hair & scalp. Step 6: Finish with light Effleurage. 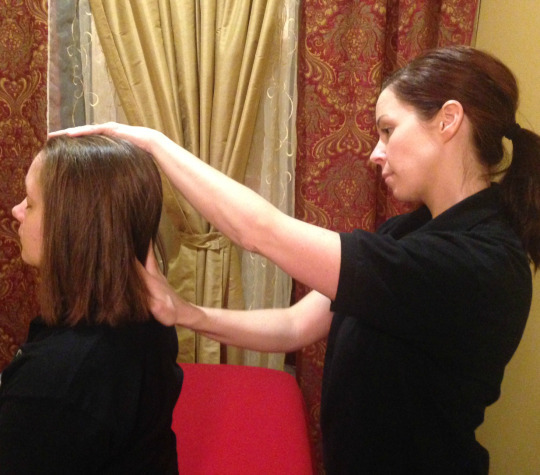 Thank you to the Massage Therapy class at Cedar Rapids for the great tips!